Following on from last weeks good week, this week actually started out well. Its the Rapha Rising Challenge on Strava this week, where you try and ride the same number of vertical metres climbed in the tour. This year its 7,235 metres in 8 days. Since switching to the MTB I’ve been able to get around really well on the bike. So I decided to try and ride half the challenge. That’s only 3617.5 metres. I figured half because I’m halfway through the pregnancy. Sounds logical? So Sunday when it started was wet and so was Monday. Tuesday morning I got out for some monument repeats with the boys, easy pace and very cruisy up and down on the mtb just spinning away. Had so much fun I did some hilly laps around East Albury when I got home. Clocked up 652m for the day. Yesterday morning I bounced out of bed, well not really – I was actually pretty tired but thats why its a challenge! If it was easy, everyone would do it! Anyway, I ended up with a bad pain along the side of my stomach, and had the same sharp pain on and off a few times that morning. Bad enough to almost make me throw up. The man came home as I was obviously worried and he even rang the midwife for me who said, keep an eye on it, come in if I was really worried and to come in if it happened again. Of course once you call it doesn’t happen again! I had a sleep for an hour or so and felt much better when I woke up. Grape had been kicking away the whole time so I wasn’t too worried, but the pain was so bad it was definitely a little bit scary. So Grape is not a fan of hill repeats. Okay Grape, I get it. Lets take it a bit easy. What can we do instead? Swimming is meant to be good, but I’d have to go and find some new swimmers and its winter and, oh well I guess I could do that. There are actually a few indoor pools around here. Definitely an option if I can drag myself to the pool. Walking – still good. I am enjoying it. Walking is part of my cunning plan to return to running one day. I’ve never walked much before, but fully expected to be able to sit at a desk all day with terrible posture, do little stretching or no strength work and expect to run injury free. So my theory with all the walking is that you walk before you run. I like my theory. I have tomorrow (Friday) off and am parked on the couch watching the tour, two ascents of Alpe d’Huez! A long weekend will be great and I’m sure I’ll feel better in the morning. Go Froomie! Or Contador…oh well, will be sure to be good to watch! Edit: tried my swimmers on, the still fit but look hilarious. I look like I’ve swallowed a basketball. I think the pool might be a goer. With happy memories of last years race I didn’t find it hard to talk myself into entering this year. We have family nearby, its a 2hr drive from home and you get to climb a mountain. It really is the perfect race for me. Fuelled up by a spicy meatball and pasta dish whipped up by my not so evil stepmother-in-law which I ate a LOT of and of course an enormous serving of my usual Vigor bircher muesli this morning it was a wonder my bike would even move when I got on it! 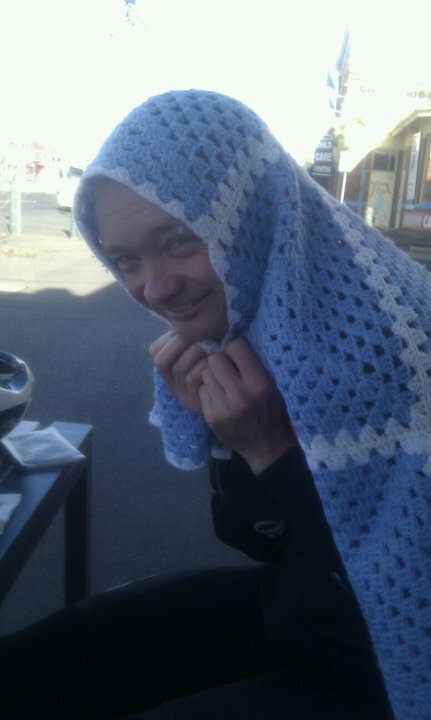 Those cheeky devils at cycling victoria brought the start time for our race forward which actually worked better because I had less time to stand around being cold and nervous! I shouldn’t complain because we actually had a ‘c grade’ this year. Although there were not enough of us so B & C got lumped in together. This worked out well for me later on though! Best decision ever because I’d pushed my arm warmers down after the first 10kms and was a cool magool! So, the race starts finally and unlike last year its fairly civilised rolling out along the undulations towards Merrijig. I was nervous about a push on a downhill like last year where I *almost* got dropped so despite saying I would take it easy on the way out I hung out close to the front and rolled turns. It was fine and I didn’t feel like I was overextending myself at all. I was debating about when to have my 2nd gel, now or wait until Mirimbah? Nah do it now in case anything happens! Lucky I was up there and lucky I had that gel because a few kms past Merrjig, Deb Richards (Hawthorn CC B grade) put the foot down and took myself and four other C grade chicks with her. Deb made it clear from the outset we were going to work or we could leave. I chose to work as we’d made a decent gap on the bunch and it was my assessment that there was definitely some decent climbers back there. We raced into Sawmill Settlement and before I knew it we were at Mirimbah and the toll gate which signals the start of the climb, and then I started dropping off a bit. Still, with a sizeable gap on the bunch I wasn’t too concerned and ended up just pushing hard as the climb was young and anything could happen up in front of me! About halfway along I noticed a chick creeping up behind me…dammit!!! Ah could be a B grader…they *should* technically be in front! It was not to be and Verita (Total Rush) a mate of Manny Marasco who I’d met at the crit the day before and sized up as being a good climber flew past me. I told her the others were ‘just up the road..a few corners’. Not sure how helpful that was! Not long after that Grace Phang came past and I reassured her she was in 2nd place in B Grade and got a rest on her wheel for a bit. Before long she turned on the afterburners and was off, always *just* out of reach. I’d been managing my nutrition fine, probably should have packed a spare gel but I’d had one right at the start, one at Merrijig and was now starting to feel a bit flat so had another one, leaving me one spare for the last few kms. By now I was past Lower Tyrol and in the last 4kms and able to look down and see…no one. Boo yah! Again, lucky because I was starting to feel a bit crampy in both my quads, ah have another gel and some more drink I was *almost* there. The last few corners were pretty tough but with Tony Reekman lurking around Hells Corner taking photos I hoped I looked like I was having fun. Then there I was getting waved at by The Man and cheered on by Tom and then I was across the line ready to hand my bike off and cough and splutter for a bit. THEN..I realised how freaking cold it was up there. Quick change into warm clothes and then handing back the transponder and race numbers and we were outta there! So. A good race. Taking a punt on going with the break paid off as Strava is already showing faster climbers who were behind me. All those Tuesday night world cups paid off! Very, very happy with myself. I know where I need to improve and I’m comfortable with that. 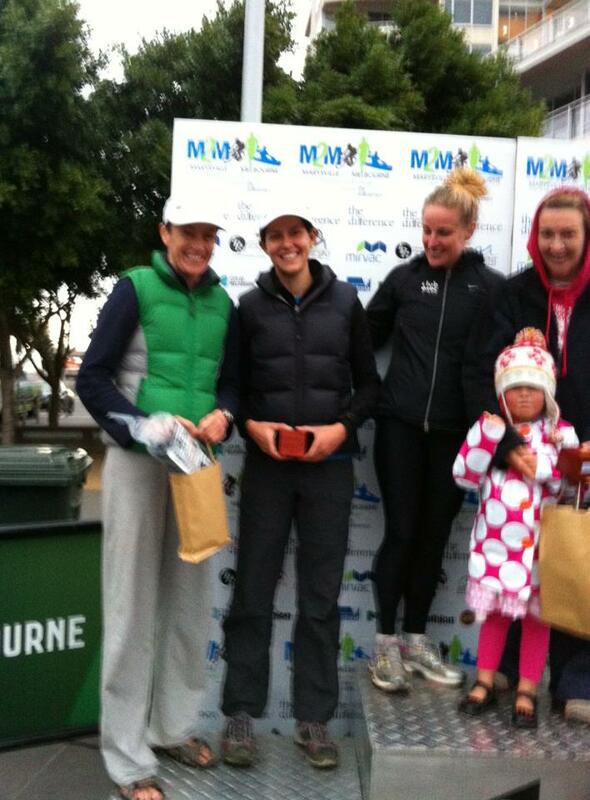 Also, a special mention has to go to Lisa Barry winning A Grade against some very strong climbers. Excellent team work by her fellow BSS teamie, the Irish Clare Dallat on St Patrick’s Day! Guinness for all post race! So I just finished my first Tour of Bright (and probably last..for awhile anyway!) It was exactly as epic and hard as I imagined but I had a lot more fun than I thought I would. I could not have been any more prepared or trained any harder for this race so went into it knowing that if I got dropped or I came last then so be it because there was nothing else I could have done. That was a pretty good feeling. About 4 months ago I got wise about how the training I’d been doing, while fun was not going to get me faster or race ready. With time to fix that and two trusty training buddies (@mattunderground and @tim12p) we set about a weekly set of repeats up Monument, Tuesday night worldcup smashfests and plain old nice recovery rides and epic weekend rides. I also had one good ‘proper’ race, and one shocking race. I’d also like the record to show that @mattunderground and I rode right through winter and out the other side. It was tough and cold and I was so proud of us for doing that. So now, all prepared and organised I ventured to Bright. I was so excited. I was excited about registering, about putting my number on my bike about reading the race program even though I’d already read it about a hundred times online and committed everything to memory. Thankfully I was also relaxed enough that I even slept okay – pretty weird for me before a race. 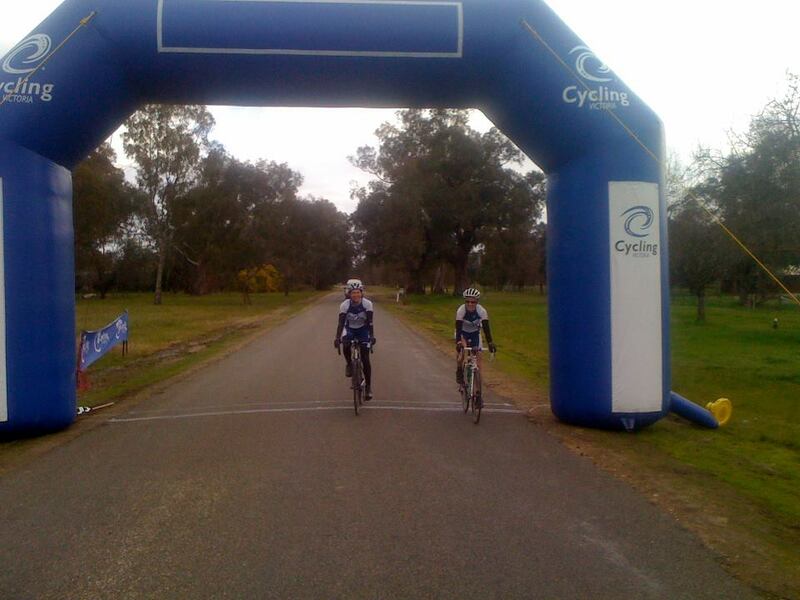 Stage 1 started well, rolling through Bright to applause from the locals…I could get used to that! The pace was good, I did momentarily forget about the sprint points and thought the girl next to me was going off the front..errrr. Anyway we rolled along, taking turns and working together when who should we come across at the bottom of Rosewhite Gap but B grade. I remember I was next to Rach at the time because when we realised we were going to have to go around them I distinctly heard a “oh get f****d!!!”. Anyway we got around them, well some did and I was trying to hang on to that bunch but just, just dropped off before the top of Rosewhite. I descended like a madwoman but just couldn’t get back on (saw 65kmh at one point!). A grade men came past and then B grade chicks again and then a few more from my grade. I worked so hard with them to try and catch the bunch Rach was in, the turns at the front were killing me until we got closer to Tawonga and I could hold my own on the undulations. I almost got spat out the back a few times but knew it was all over if I couldn’t hang on. Once we reached the turn off to Tawonga Gap I was well and truly on my home turf having previously spent a winters day doing repeats on the damn thing with @mattunderground and I took off. I took great joy in catching a couple of girls from the lead group and finished 6th overall for the stage. After a dip in the river, some food and a nap I felt completely… rubbish about the time trial. My legs felt crap and I felt terrible after I woke up. Just do it I thought – then you get to go and have a coffee. I was really really hoping to get around 28 minutes, my previous best was about 29 minutes but I hadn’t pushed *that* hard then so thought 28 minutes would be achievable. I am sure we had a head wind out and back…but either way I was stoked with 28.12 – unfortunately this dropped me back to 8th position. I was rewarded with a swim in the river, then coffee AND cake. Boo-yah! Rach was by now looking at a podium and we had to trot off to presentations for stage 1 and 2 where she had picked up 2nd and 3rd place respectively. Presentations ended abruptly when a massive storm hit and sent us scurrying home for dinner! With the thought of climbing Mt Hotham ..sorry RACING up Mt Hotham in my mind I didn’t sleep that well but felt a heap better than Rach looked the next morning. For the first time EVER she looked nervous. I tried not to enjoy it too much (sorry Rach). All too soon we were at the start line and had a chuckle at the Commissaire telling the B graders to ‘have a race today’ and then we were off and headed out to Harrietville. MOST of us took turns and we were moving along nicely with a few scowls thrown towards a couple of cheeky riders sitting at the back with their feet up (not literally). That’s racing. I was waiting for the climb to start as I thought the first bit would be interesting, its kicks right up at the start and stays fairly unpleasant for the first 700m I would estimate. Should be enough to shake up the bunch. So I thought. It was good to hear some heavy breathing going on and lots of clickety clack of gears crunching and for me to enjoy feeling strong (FOR ONCE). It was short lived as we reached ‘The Meg’ and while most of the field went backwards about six went forwards! Tom Barry was there and shouted at us to stay with them and hang on! I tried REALLY REALLY hard, but I just couldn’t do it. I did almost throw up so I was trying. Another girl had also dropped back so I stayed with her for a few kms but slowly she got away but then I noticed another girl had come off the back of the front group. This was by now just at the start of the false flat. I worked to catch them and then probably took it too easy through this section. At the end of the false flat we got caught by 3 other riders but dropped two of them almost immediately. The two girls I’d come through the false flat with disappeared up the road in front of us as we got to CRB Hill and I was surprised to note I hadn’t lost my new riding buddy, and she overtook me on the descent, then I overtook her on the next bit. We had a bit of a chat and she asked if I had enough food which was lovely of her – wait..why was she asking this? Because she was going to unleash all hell on me? Nah, she’s just being nice. I asked her if she knew exactly where the finish was and she estimated about 4 corners away. That’s 4 corners pointing into the sky so about eleventy billion years away. ..Shortly after that we reached the 1km to go sign and I had a think about how this was the end – the end of a massive year for me doing something I didn’t ever think I could do. While I was having these deep thoughts I was also keeping an eye out for Speedy Long Legs to try and take me before the end. Soon enough the end came and I rounded that corner and crossed the line. My final placing was 7th and I was pretty happy about that. My goal was to finish in the top 10 and I’d done just that! Awesome! Rach blew me away again with her strength, when things get tough she just gets on with it and she ended up with 2nd which is phenomenal! B grade for her next year! A very successful race for both of us! So now, to the thankyous. Thanks to Liam who I will still call my coach for putting the idea of me being able to do this race in my head. Also thanks for being an awesome soigneur (yes I had to google it) over the weekend. I couldn’t have done it without you. Thanks for being such great support this year. To my trusty sidekick Rach, thanks for being an awesome friend and again such great support this year. I hope you spend your $10 on something nice (coffee perhaps?). Tom Barry at Osteohealth in Albury. Thanks so much for all your advice and help over the past few months. Thanks for checking my bike and I over before the race, body and bike felt perfect for the race. Pushy’s Bike Warehouse in Albury – you guys really looked after me, especially Ash so thankyou. My bike was flawless. My main riding buddies @mattunderground and @tim12p, thanks for your patience and hanging out with me all winter and making me work so hard! It paid off big time! Thanks. The man. Thanks so much for your patience while I had a go at this. And thanks to you & Gus for coming to watch and support me. I’ll blog about this weekend shortly, but had to blog about last weekend too because it was one of the best weekends I’ve had in a long time! I’ll start with our 3hr road ride. Saturday I went for my usual road ride with the Vigor crew. We’d planned to do a long ride out towards Panton Hill and back through Warrandyte, but because the weather looked dubious we later opted for the Mt Pleasant loop (3hrs) instead. It was Rach and I + four guys and the pace was on from the get go. I think we were on Heidelberg Rd (barely 1km from where we left) when I said to Rach that there was no way I could keep up for four hours. Rach, ever the optimist decided that it would be ‘good for us’ if we tried to keep up. So we didn’t get dropped entirely and at some points the boys even kept the pace to just ‘mildly uncomfortable’. But after pushing myself for that time, by the time we reached Mt Pleasant I knew I was in trouble. I tucked in behind Ben who was tucked in behind Matt J who was behind Rach..who was not happy about it. 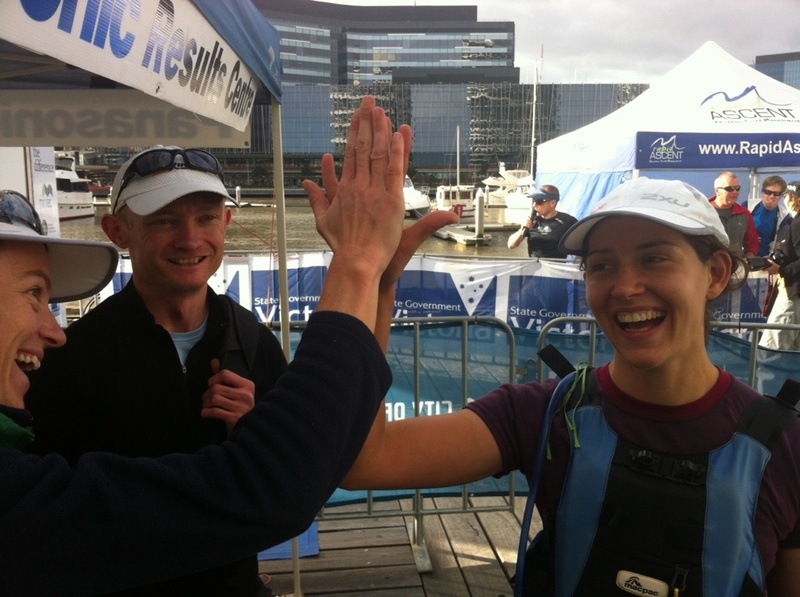 She advised Matt and Ben they could overtake her, but they told her it was ‘good for her’. I had Mike behind me and begged him to go around because I was finding the pace difficult and knew I’d fall off the back soon. But I hung on for most of Mt Pleasant and noticed Mike had dropped well off the back of me. Eventually he caught up when I red lined but I was pretty happy about my effort. Should probably get a Garmin at some point at see how hard I’m really working! We headed back along Research-Warrandyte Rd as a group and then along Eltham-Yarra Glen rd back into Eltham. After a short steep climb onto Old Eltham Rd we came across a van that had its back wheels stuck in a culvert. We rode slowly past, and then we all stopped to help. See cyclists ARE good people! We gently placed the bikes on the nature strip and clipped clopped across the road in our cleats to help push the van out. The driver was so grateful and although I doubted we’d be able to push the van out we actually managed it. We hopped back on the bikes and continued on. Every time we do the Eltham Loop ‘the cutting’ (up Lower Heidelberg Rd) is in the back of my mind. In reality it is not that bad, especially if you are on someone’s wheel, but ever since I went riding with one of the man’s friends who sat on my wheel and shouted insults at me while I rode up it I’ve made a point of trying to push myself. Today the two nutcases (Cam and Ben) hit it hard and left us eating their dust. Matt J took it easy as he had a big run the next day which left Mike, Rach and myself (at the back). Rach overtook Mike and I followed her. After a few metres I decided I’d give overtaking Rach a go and burn myself out. I did it! Legs were dead by the top but I was pleased I’d pushed myself! 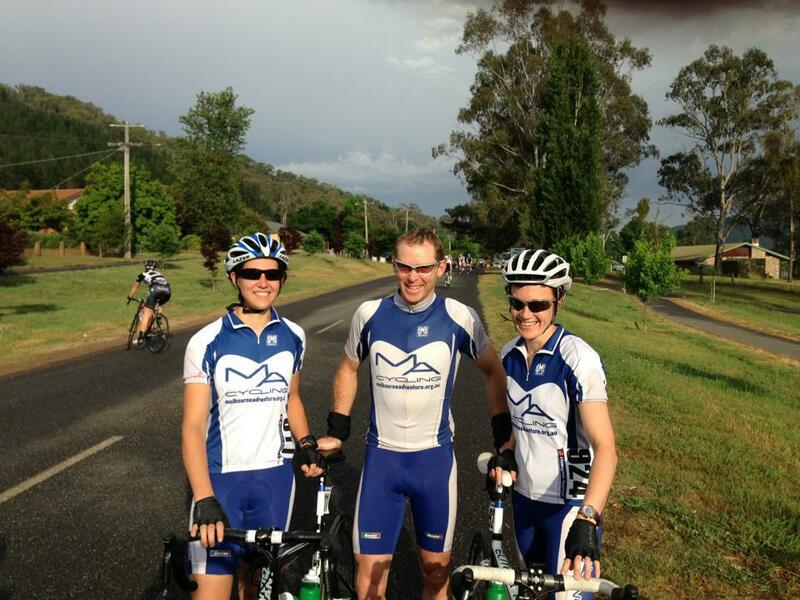 As we rode back along Heidelberg Rd I was dead tired, but luckily still riding defensively. A car overtook five of the six riders but decided it didn’t want to wait for me and turned left down a street – right in front of me. Using my cycling ‘spidey sense’ I’d had a feeling this might happen as the driver looked pretty dodgy. I still had to slam on the brakes but had enough control to save myself but still give them a hell of a fright. Hopefully they will think twice about doing that to a cyclist again. Anyway! A great ride, and well deserved brekkie at the bell jar afterwards! I know its a few days old, and I apologise to my cyclist friends who attended anger management yesterday about this…but I had to blog about it. I can’t afford anger management. I am still upset about Mia Freedman’s rant on Monday about Cadel Evans on the Today show. I’m not just upset because I’m a cyclist, although I’m sure that’s part of it. I thought Mia Freedman was smarter than that. I thought she was articulate and intelligent. But for her to say she ‘just doesn’t care’ and then later go on to say ‘I don’t know a lot about Cadel Evans’ just reeks of stupidity and unprofessionalism. She must have known what she was getting herself in for. She admitted she realised she would upset a lot of people. Then she writes a blog post saying she was in tears by 8:15am. An Australian did something amazing, and she just canned it. The day after it happened, when all the cyclists in Australia are overtired. Seriously? Mia says that Cadel is just a man who is paid a lot of money to ride a bike. She wishes other people that she deems more important like doctors, scientists and social workers got paid millions of dollars. Well that would be very nice. From a personal point of view (my husband is a scientist), I wish scientists got paid millions of dollars as well. But Cadel Evans doesn’t control how much money people get paid for cycling. That’s the way the world is. I agree he gets paid a lot of money now, but it wasn’t always like that. I follow a lot of athletes on twitter who get paid next to nothing and struggle on scholarships from the AIS or VIS and hope that they race well enough to earn more money. Often they don’t. They face injury setbacks or don’t do well enough to be sponsored. The fact that Mia brings this up makes me think she doesn’t understand how hard Cadel, and other athletes work to get to and succeed at that high level. The amount of training, and sacrifices they make is something that most people don’t consider or could even fathom. I find it funny that Mia was pointing out that he is a man who gets paid a lot of money to ride a bike. Well that’s his job. He works very hard at it. Some people have jobs where they work in the media and don’t research people before they bag them on national tv. Mia also made the point (twice) that “he doesn’t even live in Australia”. He doesn’t live in Australia because he’s a UCI pro cyclist and competes overseas as an Australian. It would make no sense to live all year in Australia when there is only one UCI race here. In the off season he lives in Barwon Heads and Arthurs Creek. Mia also says that shocking things happened over the weekend and Cadel is all that’s in the paper. Well I’m sorry Mia the bad news bear, but some of us like to be able to celebrate things . She says she thinks that its ridiculous “to call him a hero and stand up and sing the national anthem”. Mia, no-one said that we were comparing him to a war hero or that other heroes are less valid. He is a sporting hero. He is a man who has worked so hard and failed many, many times. This time everything came together for him. All of this had my blood boiling and then she says that she finds it hard to understand how regular people could go “this makes me feel good about myself”. From a cyclists perspective I found it extremely motivating, understanding what he was putting his body through day after day for three weeks, the strategy involved. Incredible. 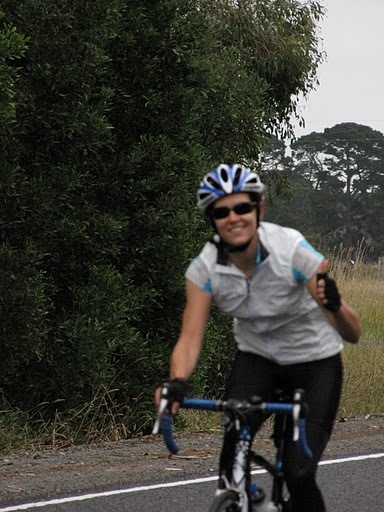 From a non-cyclists perspective its also a heart-warming story. The boy from Barwon Heads (or Armidale or Eltham depending on what newpaper you read) who achieved his dream and made history by becoming Australia’s first winner of the Tour? I reckon that’s pretty amazing. How could it not tug at your heart strings seeing him up there on the podium with the Australian flag and Tina Arena singing the Australian Anthem? Mia is totally correct when she says that sports people do it for their own reasons. Of course they do. Cadel grew up riding bikes. He likes bikes. Ian Thorpe likes swimming. So what? He is a sporting hero. Not an ANZAC legend. Everyone is entitled to their opinion. That’s fair. Already two people have commented on a facebook status I had earlier this week saying they agree with Mia. That’s fine. But I think its a great thing that Cadel did. Even Mia grudgingly admits ‘he won a bike race’. He made history. Why can’t we just celebrate his achievement? Why did Mia have to sit there and be negative about it? Cadel Evans – you’re my hero. My coach, who I’ve referred to here recently as ‘the captain’ is away on holidays at the moment. Before he went away though, he recommended I go and see someone to get some needling done on my calf muscles as my calf/achilles problems are still there despite rest and regular massage and stretching. Both of calves have been playing up since January 2011, off and on and for the past couple of months both achilles have also been giving me problems. 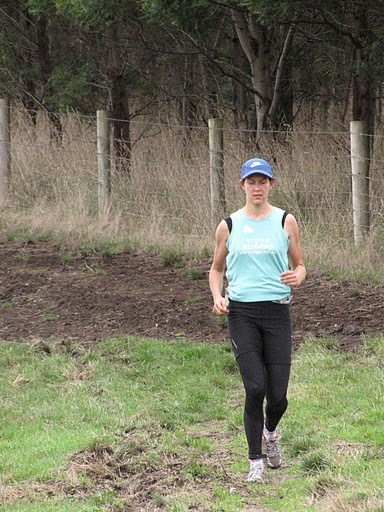 About a month ago I stopped running altogether, which for a runner is incredibly unusual. But I just cracked it. It was dark, wet and cold and I’d gotten halfway home from work on a 10km run, when I realised I wasn’t even running anymore, just hobbling along in pain and misery. I stopped and walked the rest of the way home in the cold, deciding then and there that it just wasn’t worth it. I decided to be mature about it though, and not throw in the towel but get my body right, and re-introduce running in a few weeks. Surely with some rest, and more massage treatments I’d be right? So I went and saw a podiatrist at the Olympic Park Sports Med Centre. She was lovely and made some changes to my orthotics – there was a specific foot issue she said I had and inspected both my achilles and said they really didn’t look too bad. She said as far as she could tell (without doing an ultrasound), they weren’t overly inflamed, not enough to be causing the pain I was having. The appointment was on the Friday and she said I could run a slow 3km on the following Tuesday, and if it felt okay to run again on Thursday, and gradually build up, and return to see her in three weeks time. That was a month ago. I never ran after I saw her. Even though she told me I could. It could be psychological, but my calves still don’t feel that great, no pain just not all that different to before. I’ve had no achilles pain, but I’m assuming this is because I’m not running. Fast forward to yesterday when I go to get some needling done (as per my coach’s recent recommendation). The guy I see is brilliant, and up until I started training with my current group in early 2010, I’d get a massage from him about once a month or fortnightly if I felt I needed it. He was the guy who fixed my shoulder back in 2009 (which turned out to be tight chest muscles), and he’s generally a great guy and I trust what he says. Until yesterday, I trusted him as much as I trust my current coach/regular massage therapist. Today the guy I saw contradicted my coach/regular therapist and my biomechanist/podiatrist/everyone I’ve seen about my running injuries for the past two years and I don’t know what to do. I started running ‘seriously’ – around three times a week in 2005/2006. 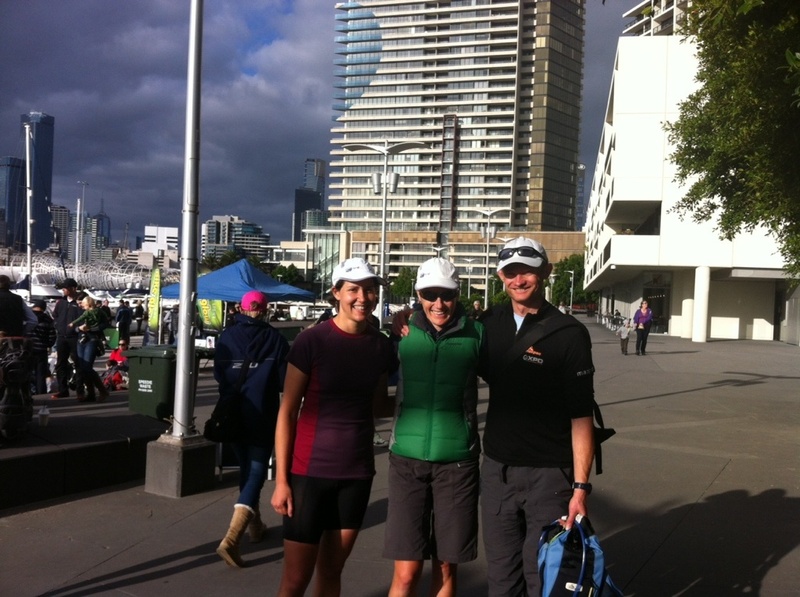 By 2006 I was running 10kms and one day decided – as runners do, to run from Moonee Ponds to Docklands and back. I made it to Docklands when I noticed a pain in my knee. I rested it for a few days, and tried again. Same deal. I went and saw a sports doctor who ordered an MRI and a knee specialist. A very expensive MRI. Which showed nothing of real concern (a small bakers cyst), nothing to be stopping me running or causing the amount of pain I was feeling. I was pretty frustrated. Shortly after I joined a gym and I had a personal trainer and I did lots of glute strengthening, VMO strengthening and time on the foam roller. I got back to running about 5kms but any further and my (self diagnosed) ITB problems flared again. A friend who is a physio in Albury recommended I go and see a biomechanist and she sent me to one she knew in Melbourne. He was great, and showed me how I have really high arches and my knee rolled inwards when I ran. He recommended orthotics (very expensive, but my kind parents helped me out). I got my orthotics in January 2009 and they almost instantly helped me get over my ITB problems (which I wrote about here and here and here). I went from being able to run 5kms to building up to 10kms and from there I built up to being able to run around 12kms. In mid 2009 I joined a run group which I was doing up until September 2009, just before our wedding. I’d started having achilles problems (the group did lots of speedwork, hills etc – pretty much everything achilles hate) and was worried about tearing my achilles and walking down the aisle in a boot. I never went back to that group (who I won’t name). I stopped running until February 2010 when I joined my current group and my coach put me on a return to running program. I blogged about that here. I got back into running properly and was running about three times a week, getting regular massage, doing strength work and stretching and all was well. In November 2010 I got a road bike (more on that later) – its in here for date reference. So I was able to get back to running, and ran well all of that year, even completing the 15km run leg of the Anaconda Adventure Race in early December 2010. 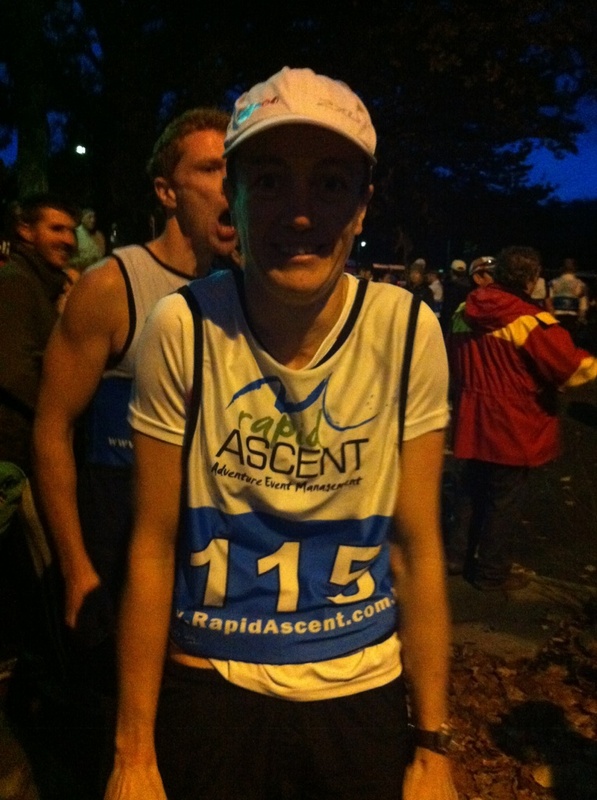 It all went to hell in January 2011 when one night I was running at run group, around the zoo in the pouring rain. It felt like I’d been kicked really hard in the calf. So much so that I yelped. Being a ‘runner’, I tried to keep going. But it was obvious I’d done something. I managed to ride home, and it seemed ‘okay’, I remember having to travel for work the next day and knowing it was bad the next morning at the airport when I could only hobble and not walk properly. I rested it for two weeks, then got back into running, slowly. Note that by now I was riding my road bike on Wednesday mornings, doing speedwork with running either Tuesday or Thursday, doing a long ride on Saturdays and a long run on Sundays. One Sunday run I felt a similar pain to the one I felt running around the zoo, but in the opposite leg. Another couple of weeks off, some massage and I returned to running. I managed to complete a 12km run in a multisport race in late March but by then the achilles problems had started. It’s in both achilles, exactly the same amount of pain. Back to the here and now…I’m not running. I’ve had enough of spending money and getting nowhere. It’s not fair on the man, either. He’s extremely patient with me spending all this money trying to get myself fixed and not achieving anything. I’m confused after the other night. One podiatrist tells me my achilles seem okay. Massage guy tells me my left one is stuffed. But I have the same pain in both of them? Regular coach tells me niggles are common and you just need to manage it. Who do I believe? All of them are expensive and time consuming! I understand that there are so many different variables, especially with the amount of cycling I do. It could just be my body can’t cope doing so many different things. But I’ve tried everything, bike setup, shoes…I could go on forever. I haven’t given up on running and I don’t intend to. But Internet, I need help. What would your next step be? Can you recommend anyone in Melbourne I should see? Any advice? My current plan is to get a second opinion before spending the next five weeks possibly achieving nothing and spending $350. Where were we? Ah yes, something about a race. Probably about time I got to that part! Anyway Sunday was a bit chilly and there was some misty rain happening as we put the three bikes (Nick’s, Rach’s and mine) on the back of the beast and drove to the lake. We’d arrived in plenty of time, and all of a sudden I was helping put up a tent for the registration area and putting energy bars into goody bags. 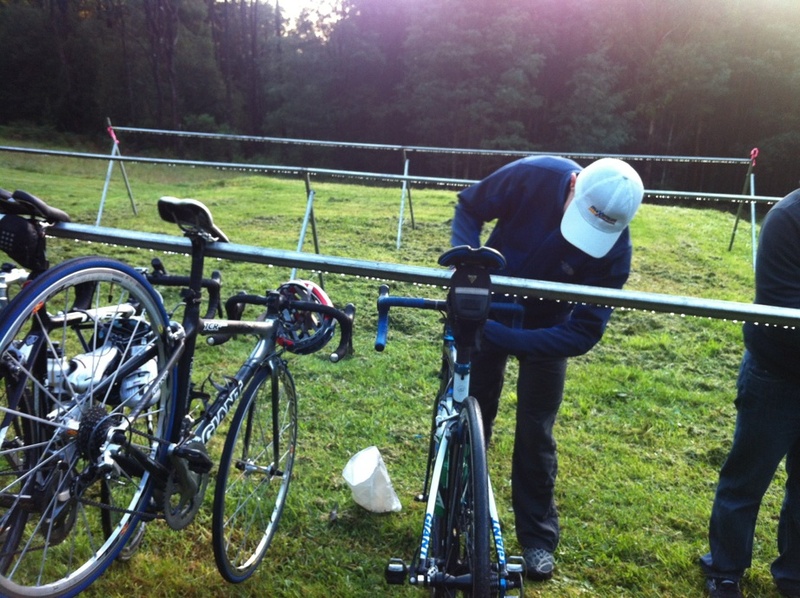 Meanwhile Rach and Nick were doing normal pre-race things like setting up their gear in transition…and getting coffee! I eventually escaped and went and got organised. All too soon we were sorting out the boats and pfds, and after a small issue with paddles we were good to go. There was a race briefing which I didn’t really pay much attention to, knowing that I would be following everyone else but it did make me think that it would be useful to know the course inside out if you had a chance of placing in a race. Then we were in the boats, and here was my first mistake of the day – I positioned myself in the middle of people who were slower paddlers than I was. The gun went off (alright, well I think Liam yelled GO! into a megaphone) and we were off. My positioning really impacted on my paddle because I was stuck between two people, and not even able to paddle properly. I made my frustration known and they moved out of the way but by then I couldn’t catch up to everyone else and I was paddling on my own with no-one to wash ride off. 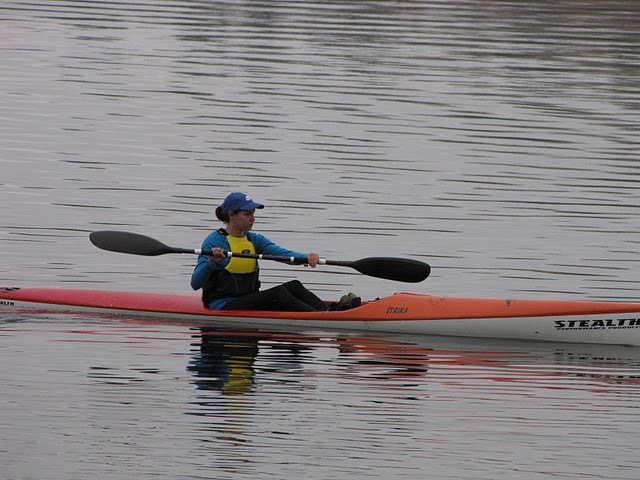 I still did well, although paddling around a lake is extremely frustrating as you can see exactly how far you have to go! I caught up to one of the Vigor guys, Al just in time to see him fall in going around a buoy. Poor guy! Anyway, I made it back to shore and was told “well done, Rach is just ahead of you”. Just ahead my arse but it worked. In transition it seemed to take forever to get my shirt off (calm down I had a singlet on underneath) and get into my cycling jersey and vest, then the bloody zip on the vest got stuck.. that transition was just a disaster. I’d considered not taking the vest, but all my food was packed in it so on it went..eventually. After a few hundred metre long climb from the lake onto Naroghid Rd I started pedalling away, looking behind me to see when the inevitable chase from the not so strong paddlers but strong riders would come. I also started trying to eat a dextro bar, I still find eating and riding hard to do. I managed it though! I also chowed down on a couple of gu chomps and tried to drink a bit too. Once I’d done one lap, it was straight on to the other, all the worse now knowing what I was in for! By now I’d been passed by Al, but I can’t remember if anyone else did. It was just after the monster hill when I noticed the two girls I’d been looking out for coming up behind me. They were better than me at descending and quickly overtook me. When we came back into transition though, I arrived about the same time as one of the girls, Beth. We joked about needing to pee, but in the end neither of us detoured to the toilet and both got running. Beth was well out in front but catchable I thought. Quick story detour —> the last time I’d run around Lake Bullen Merri my ITB played up, and I ended up hobbling around for two days…you can guess what happens next.. I caught up with Beth and we ran together, which was nice as I was getting bored talking to myself. It was then, almost at the exact same spot as last time that I felt the familiar twinge in my ITB. So annoying, I ran through it for probably a couple of ks, then conceded defeat and walked. I knew I only had about a km to go so alternated running, hobbling and walking. I looked behind me and saw one of my other friends, Jenny Kennedy had almost caught me. With the sign for 100m to go, I legged it. I felt pretty emotional (happy emotions) crossing the line, especially after running through some nasty pain, but disappointed too that my body had let me down again. Still, it was done! All over in 3:32! And Rach, the champ that she is came 3rd! In 3:07! Paddling hard..well not really, I was coming into shore here. Managing to smile during the ride. Not managing to smile during the run!! Finished! Note, Jen K in the distance!! 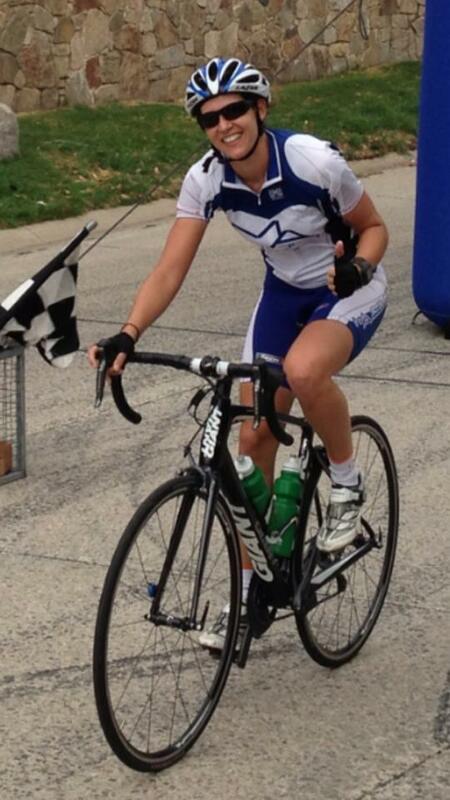 All smiles now the endorphins have kicked in – with 3rd place getter, Rach!